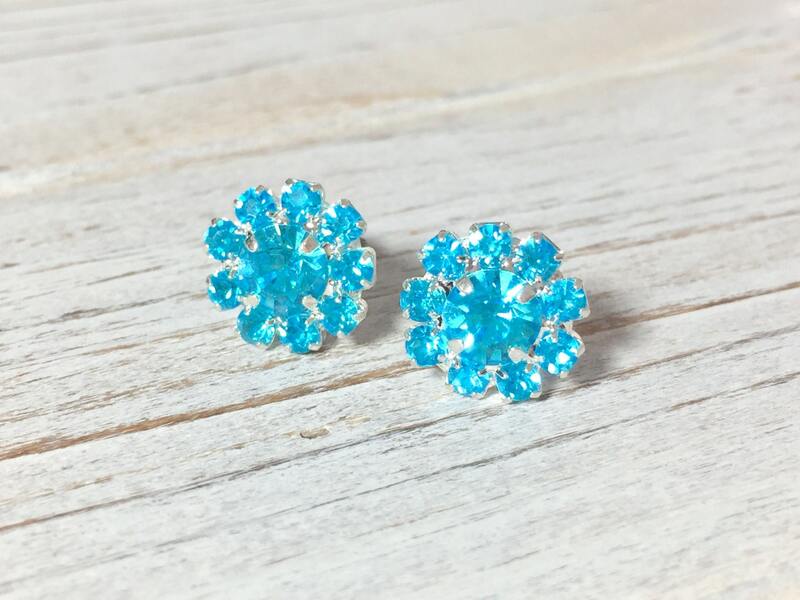 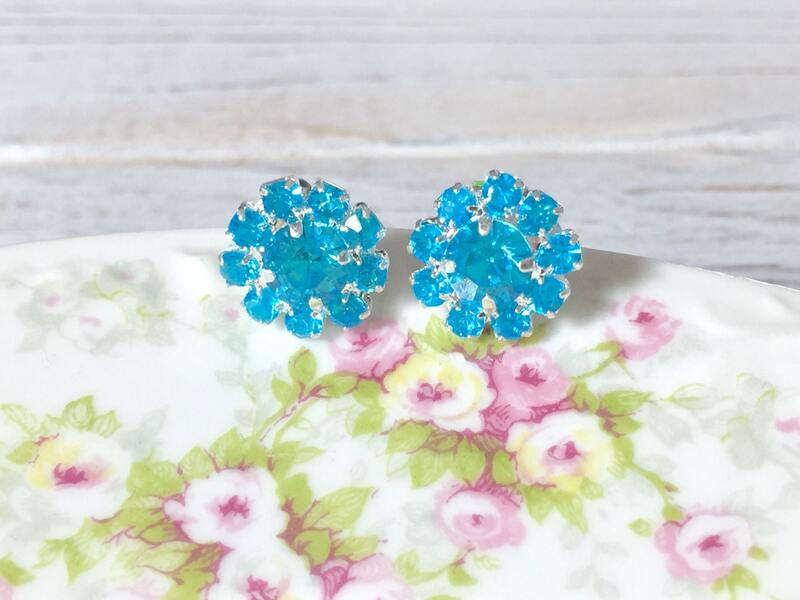 Gorgeous rhinestone flower stud earrings made with aquamarine glass rhinestones. 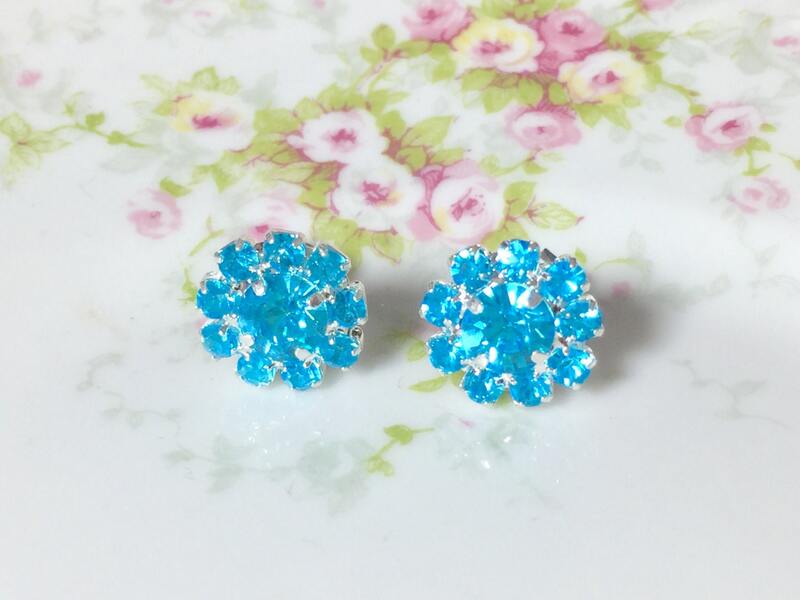 The metal base is nickel and lead free. 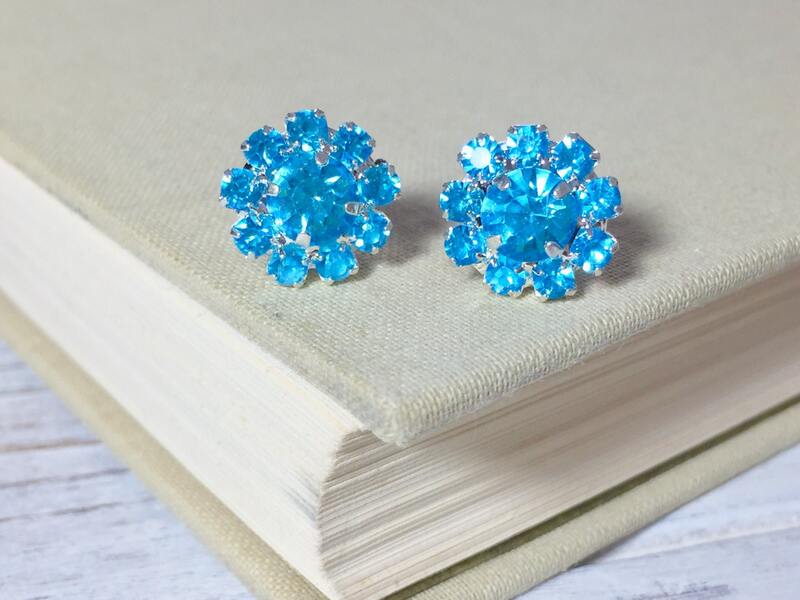 These flowers measure just over 1/2 inches (12mm) in diameter and have been finished with surgical steel ear studs.